Lush Fab Glam Inspired Lifestyle For The Modern Woman: Beyoncé's Stunning & Artistic Flaunt Magazine Photo-shoot. Beyoncé's Stunning & Artistic Flaunt Magazine Photo-shoot. 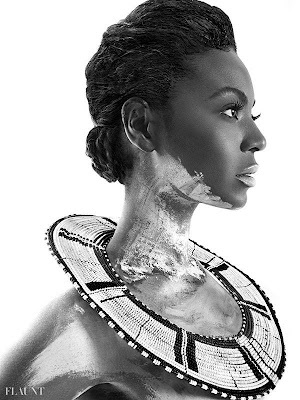 ﻿Beyoncé's Stunning & Artistic Flaunt Magazine Photo-shoot. 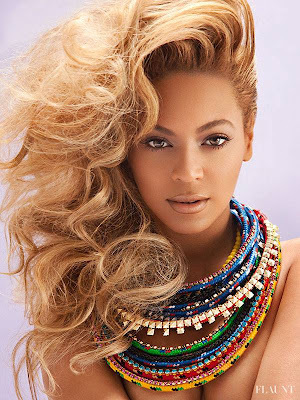 Flaunt magazine chose Mrs. Carter A.K.A Beyoncé as their July 2013 cover girl and she did not disappoint! 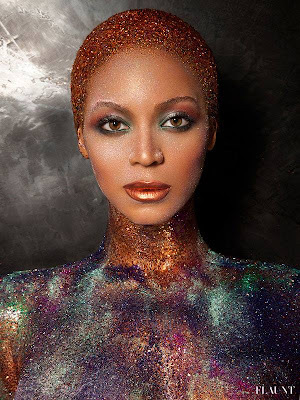 In the very creative photo shoot by Tony Duran, Beyoncé wears some fabulous over sized African tribal jewelry and in others her stunning figure and body glitter or body paint do the trick. 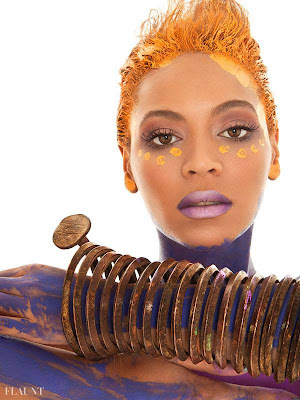 The following 'perfect for summer' beauty products were used to style Beyonce for her Flaunt magazine photo-shoot. Monoi Body Glow II and Shimmer Eye Shadow in California by NARS Cosmetics. Studio Skin 15 Hour Wear Hydrating Foundation, Heat Wave Eye Shadow Palette, and Hyperlash Mascara by Smashbox Cosmetics. Strobe Liquid, Lustre drops, and Glitter in Amethyst, Bronze, Copper, Emerald, and Very Pink by M.A.C Cosmetics. Cheek Color in flush by Tom Ford. Which photo of Beyoncé for Flaunt magazine is your favorite? Leave a comment below.